The BIT’s Theatre Jam is your chance to get on stage and have a go at the make-em-ups yourself! 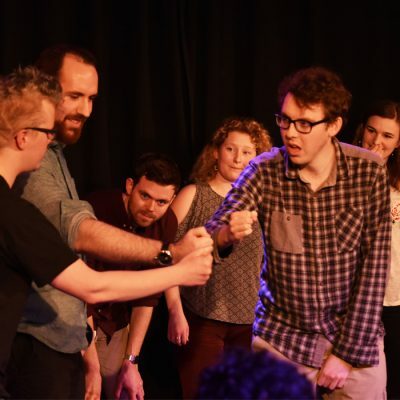 All abilities and experience levels are welcome at this friend and inclusive night which doubles as a chance to meet Bristol’s growing improv community. Arrive at 7pm if you’re planning to perform: there’ll be a group warm up and a chance to meet all the other improvisers. For those who just want to watch and enjoy a drink, doors open at 7:15. Theatre Jam is a consistently well-attended show. Make sure you arrive well before 8pm, as we are unable to guarantee entry for latecomers.